Joel Feder June 8, 2018 Comment Now! Porsche continues to prepare its assault on Tesla, and on Friday the German automaker announced the production version of the Mission E concept will be called the Porsche Taycan (pronounced "tie-con"). Likely to be unveiled later in 2018—possibly at the 2018 Los Angeles auto show—the Taycan will square off with the Tesla Model S, though it will also face competition in the form of Jaguar's I-Pace and even its crosstown cousin, the Audi e-tron, when it arrives in the U.S. 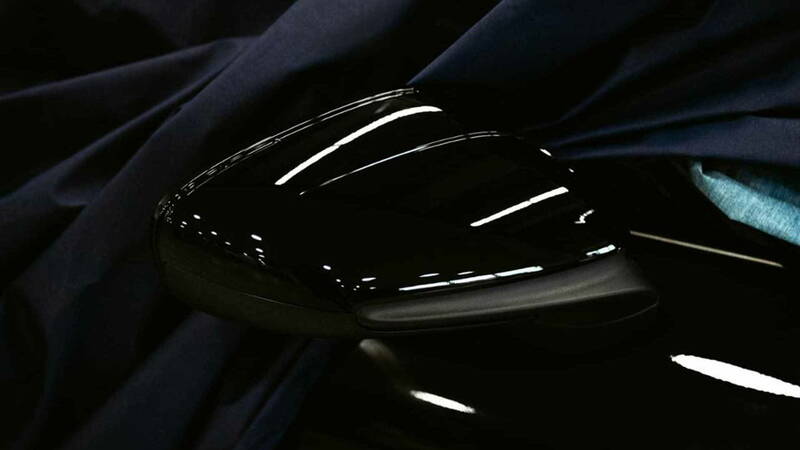 The teaser video below hints at the car's electric sound. 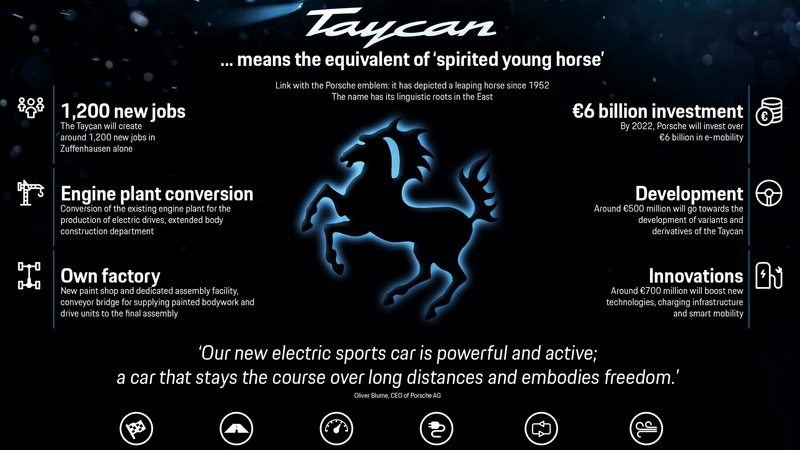 A quick refresher: The Taycan is a sport sedan with an electric powertrain riding on a Porsche-developed platform code-named J1. This is not the same platform that Audi's e-tron electric SUV uses, but the Audi e-tron GT will likely inherit these bones. Porsche has also shown a Mission E Cross Turismo concept, a wagon version of the electric car. It is not known if that vehicle will be produced or if that name will apply to it. While a claimed 0-60 mph sprint of "well under 3.5 seconds" might not throw ice water on Model S P100D owners, it should. The Model S can do its Ludicrous Mode party trick a few times before needing to cool down, but Porsche has said its Taycan will be able to maintain its performance both in sprints and for track days without issue. Power for the Taycan will come from two electric motors that will generate more than 600 horsepower and likely provide all-wheel drive. Porsche isn't talking battery pack size, yet, but claims more than 300 miles of range on the European NEDC cycle, which should translate to about 240 miles of range in the U.S. The Taycan will have a great advantage with its 800-volt, 350-kw charging system. 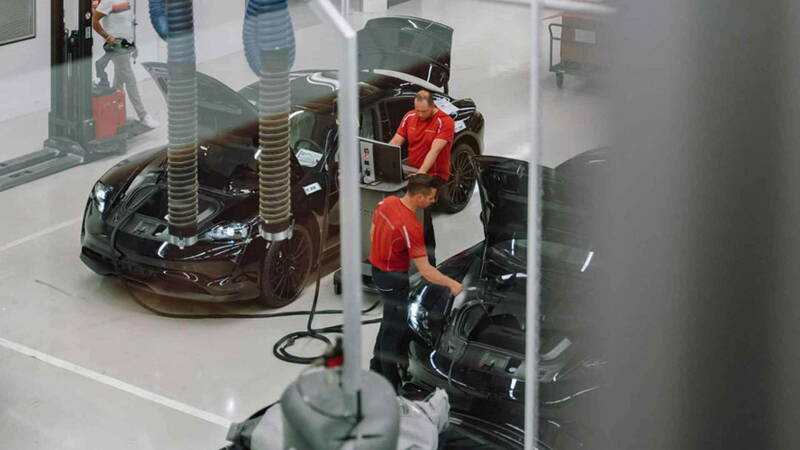 This setup will allow the Taycan to be charged to 80 percent capacity in just 15 minutes, changing the way electric cars charge in the future. Porsche plans to set up the 350-kw charging stations at dealers and a few other locations throughout the U.S.
Pricing hasn't been announced, but we expect it to line up with an entry-level Panamera at about $85,000. Like any Porsche, however, options should be plentiful and expensive. Stay tuned for more updates on the Porsche Taycan.